Expert of end to end Supply Chain, 27 years experience in various Industry: FMCG Cosmetic & FOOD and RETAIL especially in field of Manufacture and Supply Chain. Experience on introducing Change Management, of which is experience to take trough Teams to adapt and adopt new ways of Working which Key point on implementation new system and or new Technique // new way of working. A team Leader with deep experience to manage Cross Functions team on improving company profit. Project Leader on Introducing Sales and Operation Planning (SnOP) which is a basic step to roll out Business Integration within company. 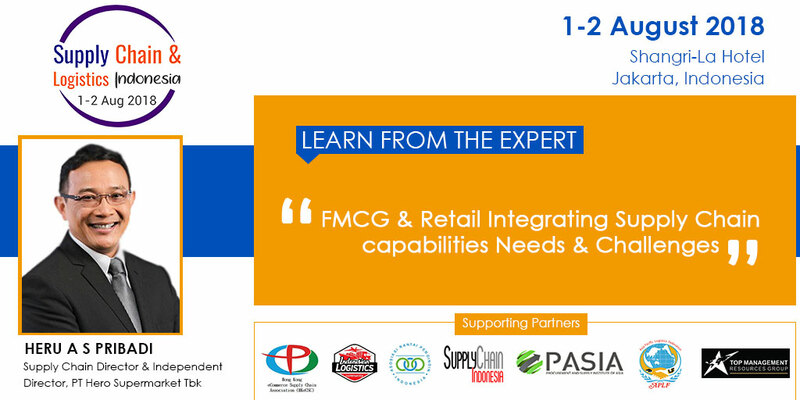 The numerous retail formats pose a challenging integration approach to the FMCG players. Non availability of systems in one end and a myriad of ERP systems at the other end complicate the smooth integration of Supply Chain capabilities for mutual benefit. Intense competition and conflicting interests prevent a Win-Win solution to emerge. Identifying common goals and addressing them in the integrated approach is the way for profitability for both sectors.